WhatsApp has been hit by a major outage, stopping millions of people from using it around the world. People couldn’t send or receive messages using the Facebook-owned app, apparently because of a server problem. Service appears now to be gradually being restored. The app didn’t initially look broken, with chats and contacts able to load. But once a user was into a chat, the app just showed a “connecting” message that never resolves itself, and so new messages couldn’t be sent or received. That also meant there was no easy fix to the problem, since it appears to be on WhatsApp’s side. Shutting and opening the app, for instance, just reset the connecting message but wouldn’t stop it showing. There were relatively few reports of problems from the Americas, but that might simply be a result of the fact that timezones mean that many people there were asleep. 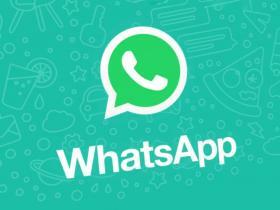 WhatsApp Web, which uses the phone’s connection, was also broken.